Printing on paper is still an essential part of everyday business. But printing documents from mobile devices is not straightforward because they’re never really fully compatible with the printers. In the series on our blog today, we explain how mobile printing works with Output Management and what factors should be considered if a company is interested in mobile printing. Many companies use OutputManagement Solutions (OMS) from specialised system providers to operate their decentralised printing infrastructure efficiently.Some of these systems also offer mobile device integration options in theirOutputManagementSystem. In these cases, the documents to be printed are mostly transferred to an Output Management Server using the OMS provider’s app. Access is either via a fixed network (WLAN) or via a VPN Client on the mobile device.When using cloud printing services, the print request can either be sent directly to a printer (that is available on the cloud) or back to the mobile device and then transferred from there.The apps also offer various output options from here. 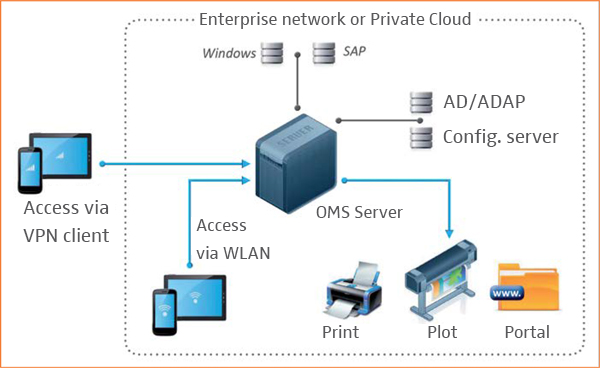 The OMS carries out the conversion and spooling of the print request and sends it to the required printer. OutputManagementSystems usually offer a wide range of additional functions for printing and managing / operating the print infrastructure.The Output Management Server is mostly used as a physical or virtual in-house server. However, the solution can also be installed as a private cloud concept. With mobile printing by an output managment system the transfer of the print order is done via VPN client or via WLAN. What factors should companies consider? Can the solution be used with all devices? What management options does the solution offer? What level of security does the solution ensure? What kind of printing quality does the solution guarantee? What prerequisites does the solution need in terms of infrastructure? 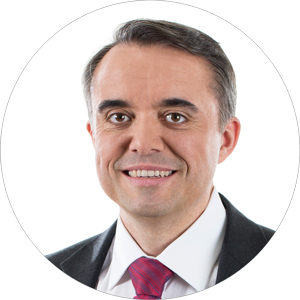 What is the scope of performance that the solution offers? How flexible is the solution when it comes to configuration and usage? What would be the overall cost of installing the solution? For companies with large and/or complex printing environments and high demands in terms of administration and security concepts that are suitable for their business, the solutions offered by professional Output Management providers are the most advanced solutions available.These also bring with them the highest installation costs and require the highest level of infrastructure. However, due to its versatility, installing an Output Management System can have long-term benefits in several areas of the business.If the company is already using an Output Management System, the cost factor is put into perspective quite significantly, because the modules for mobile printing can be purchased for a small additional licence fee and with very little expense for integration. For small and medium sized businesses, other solutions can be sufficient in many cases and are sometimes cheaper. However, every company must decide for themselves whether they want to become tied down to a specific manufacturer when it comes to selecting printers and/or mobile devices. If the functional and technical security requirementsfor a printing solution are high, then installing an Output Management System can be worthwhile, even for small and medium sized businesses. 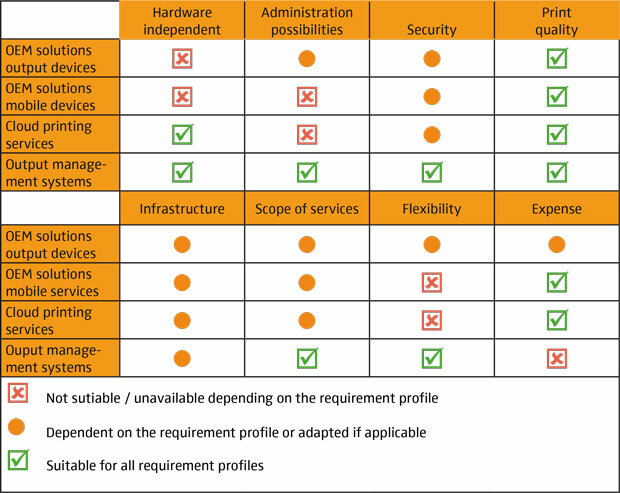 Solution variants in comparison: The requirements profile defines the project. Missed part 1? Please click here! | Click here for part 2.